As a merchant, your focus is on building a great brand that customers will love — and rightly so. But did you know that one of the most important decisions you’ll make is not only selecting the right POS system but also choosing the right POS dealer? A great POS dealer is not just another vendor but a valuable partner and business enabler that will go above and beyond in delivering benefits that can help your retail business thrive. These three pointers reveal how value added resellers (VARs) make a difference. Well, at least when it comes to POS, that is. You know that running a retail business is a challenge, especially in today’s environment. That’s why managing your point of sale project is one task best left to the professionals. VARs are continuously learning about what’s new and emerging in the industry so that they’re well versed in the latest trends that could affect your business. If your business doesn’t have a dedicated IT team, trying to keep abreast of POS news could be an overwhelming and time-consuming task. VARs manage all of that for you so they can help you make informed technology decisions that can help your business not only stay the course but rise to the next level. So when advancements such as mobile and tablet POS burst onto the scene, VARs are learning about standards and best practices of how to incorporate these new technologies, platforms and device form factors into existing POS platforms in a way that makes sense both for your bottom line and for the customer experience. EMV? No sweat. VARs live and breathe the POS industry. Let’s face it: POS dealers are extremely well versed in the smartest and most economic POS implementation strategies. And with their priority of continuous industry education, VARs have up-to-the-minute learning on the approaches that can benefit your business. 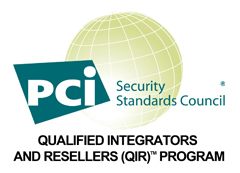 Many seasoned dealers have hundreds of successful implementations under their belt. They know what works and what doesn’t, what will be a cost burden and how to save money the smart way instead of cutting corners with something that will cost you down the line. While some may try to sweet talk you with tantalizingly low prices, VARs know that rock-bottom costs aren’t usually a recipe for long-term success. By focusing on the right POS strategy that will position your business for success, experienced VARs can help grease the wheels for your profitable future. You might think the POS problem you’re facing is unique but many experienced VARs have “seen it all.” That’s the beauty of selecting a vetted and veteran VAR to handle your POS project: no situation is too oddball or too challenging. What’s more, working with a local partner can offer a level of high-touch service that other competitors might not be able to provide. Instead of suffering costly hours (or days!) of downtime, your local VAR is just a phone call and quick trip away, ensuring limited interruption to your business when something goes off the rails. Selecting a VAR that is a member of an accredited industry association, whether local or national, may be wise. 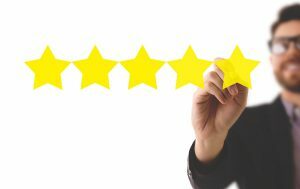 A VAR that holds such a membership possesses a level of experience, expertise, and professionalism that will make them excellent partners in your search for the right point-of-sale solution. Your POS system is one aspect of your business you certainly don’t want to skimp on. 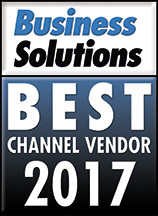 By choosing a VAR to handle your POS deployment, you gain the peace of mind of knowing you’re in expert hands. 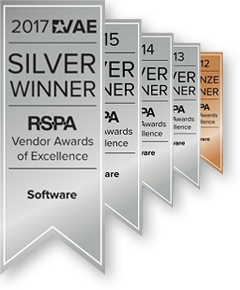 NCC Brings Home Silver in Software for the RSPA Vendor Awards of ExcellenceThe State of Retail: Is Your Business Keeping Up?